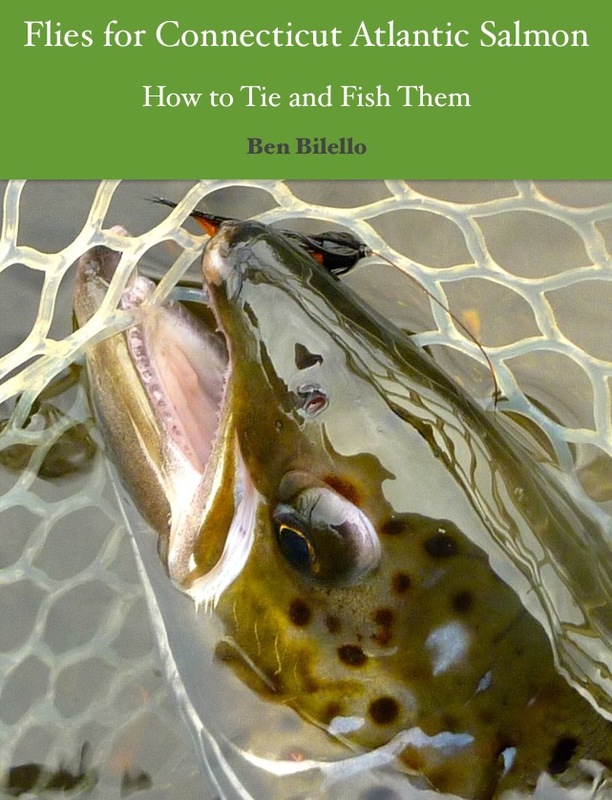 Most fly fishers can relate to losing a favorite fly. Often times, it happens when a fly falls off a fly patch. It happens to all of us. It happened to me today, actually. I lost the Picasse tube fly with which I had so much success earlier this season. It was a drag, but not as much as my other loss today. I was in a hurry to get home this afternoon. Looking back, I was in too much of a hurry. I heard a little rattling as I drove away, but chalked it up to the rod tubes I hastily threw into the back of my car. I got onto Rt. 8N and drove about a half mile when I noticed my Fishpond Nomad Mid-Length net fall from the roof of my car and onto the highway. On no! Through my rearview mirror, I saw a car drive strategically over the net without running it over. I decided to double back and try to retrieve the net. I was pretty sure it made it to the safety of the shoulder. I got on Rt. 8S and made a big loop, getting back on Rt. 8N. I didn't expect to stop on this pass. I just wanted to locate the net. I did, in fact, locate it...right in the middle of the lane! Oh no! Fortunately, there was enough of a shoulder to pull off and retrieve the net when there was an opening in traffic, but I would have to make another pass. I retraced my steps, exiting, getting on Rt. 8S again, getting back onto Rt. 8N, and keeping my eyes peeled for the net. I slowed down and put on my hazard lights as I approached the location. I saw my net...in three pieces! Oh no! Fishpond Nomad nets are durable, but not durable enough to withstand being run over by an eighteen wheeler, apparently. For a moment, I thought of picking it up to salvage the net bag. Traffic was getting heavy and I quickly decided that it was not worth the risk. I drove away, leaving my trusty net to die in the middle of Rt. 8. I was pretty bummed. It was a great net. It even doubled as a wading staff. It would have been the perfect size for most Naugatuck salmon in 2013 and 2014. The 2015 fish were a little bigger, however, and I landed several which did not fit in this particular model. I had already made up my mind to buy the Fishpond Nomad El Jefe model for next Connecticut's salmon season. The mid-length net would have been perfect for shad though. I guess I will have to purchase the El Jefe net sooner than expected. 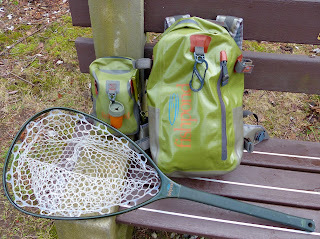 At least I know that I will be happy with another Fishpond Nomad net. I had no complaints with my old one, other than the size. The way I see it, too small of a net is a "good problem." Oh yeah...the fishing report. On paper, today was pretty ideal. Air in the low 60s, overcast/light rain, water in the high 40s to low 50s, and a flow of 346 cfs. The salmon didn't quite get the memo. I didn't move a thing. And I lost a good net. Sometimes you eat the bear, sometimes the bear eats you. Sorry to hear your net was crushed. I remember my grandfather telling about a time he left a loaded shotgun on the car roof after hunting and found it there when he returned home! Wow! I would have felt horrible if my net hit another car, but that pales in comparison to a shotgun falling off and blasting another car! (Not to mention the damage done to the gun). It's amazing he made it all the way home without incident.